Toronto: Innis & Gunn, brewers of Canada’s favourite Scottish beer, will welcome the Edinburgh Inspiring Capital on June 13th when it visits Halifax, Nova Scotia, on the Canadian leg of its Clipper 11-12 Round the World Yacht Race. In observance of this internationally recognized program, Innis & Gunn will celebrate the yacht’s arrival from New York by participating in a one-day corporate sail while toasting the crew’s final leg of the race with the brewery’s annual, limited edition Canada Day 2012 beer. 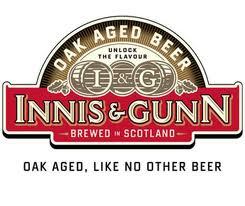 Nova Scotia,” said Nicol Rennie, Innis & Gunn international brand manager. in Southampton, UK, after an approximate one-year, round the world race covering 400,000 miles. A post-sail celebration hosted by Innis & Gunn will take place later that evening at The Brooklyn Warehouse (2795 Windsor Street) in Halifax.